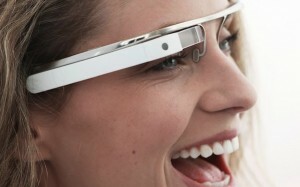 Google creates Heads Up Display glasses of the future. We have all seen movies that portrayed the 21st century big and shiny, with jet-packs and floating cars. Yet here we are in 2012 and all we have so far this century are smartphones in our hand and tablets in our purse. Google is finally stepping up their game, announcing their new sci-fi looking glasses – the Google Heads-Up Display glasses. According to Google, the glasses may be released by the end of 2012 or in 2013. The glasses are Android based, and are rumored to have a front-facing camera with flash, and a voice input interface. Data will use 3G/4G connection, and GPS will use several sensors to collect information about the surroundings. They will have a display just inches from the wearer’s eye, streaming real-time information about your surroundings. The only problem with the glasses so far is their design – you may look stupid wearing them. Another problem would be for people that wear glasses presently, you would have to switch to contacts to be able to use the glasses. This is why Google has released this information so early, to get everyone’s input to improve their product before its released. We also must think of how these might replace smart phones – how much more dangerous could these glasses be while driving? The cost of these HUD glasses has been guesstimated around the price of current smart phones – which can range anywhere from $150-600, so no precise cost as of yet. Like smart phones, these glasses are currently a want more than a need – but they seem very interesting and futuristic! How ’bout it? Will you be able to “resist” Google’s new “smart” glasses, or will you be among the first in line to buy them?